Oops. This hasn't really been a weekly blog of late, has it? We have so many exciting projects going on that blog writing has slipped. Apologies... new year's resolution (is this the first one you've heard?) to write more often. My wonderful team have been admiring the number of new ideas that I've been having... and gently and wittily pointing out that we cannot do it all. My response was to say that I used to have a boss who was a nightmare to work with because he was always excited by his latest idea..whilst I was still working on the last three that he had tasked me with, so I sympathise with their plight. New Year's resolution no 2: learn to prioritise and say no. Our Safeguarding conference went extremely well, with 100% of attendees satisfied or very satisfied. The feedback that we got from attendees is that they want more help with safeguarding...policies, seminars, briefings, etc. We will be talking to Surrey CC about how this might be provided. We are setting up a cross-sector collaboration of organisations who are keen to help young people with learning disabilities into work, in conjunction with businesses, charities, Surrey CC and Surrey Chambers. If you share our passion for this and would like to be involved, let me know. This will be followed by another to help other vulnerable young people into work. We have been awarded funding by Healthwatch to work with a group of young people around the issue of a mental health issue that his bothering them. We will support the young people to take the actions that they want to take to address the issue. Did I say that I wasn't going to have any more ideas? Trying not to, but then other people give them to me. I went to an event at the House of Lords hosted by Lord Victor Adebowale (CEO of Turning Point) and the very interesting Collaborate organisation. Victor kindly gave me an idea... a significant amount of crime in this country is committed by people leaving care... many of whom have had awful life experiences as children and who have not been given good role models or shown appropriate behaviours required to fit in and hold down jobs. He suggested that we sit down with young people leaving care in Surrey and ask them what they need in order to get a job, housing, self belief etc. I am sure that a mentor, someone that they can turn to when they are down, will figure in there somewhere. 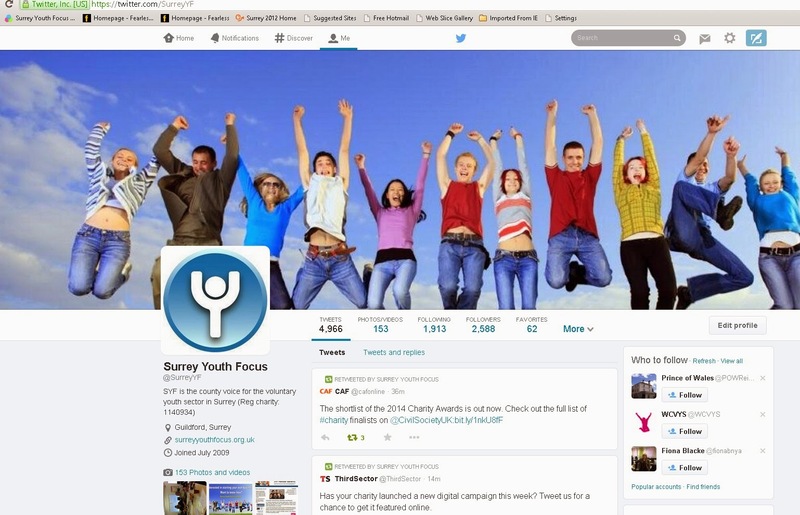 We can then get a cross-sector collaboration together to serve these young people in Surrey. There's no shortage of people wanting to help. The challenge is ensuring that the offer is young person focused, holistic and joined up. I am very excited by this. It's now on my list of things to do. However, I am prioritising. I won't start it until a few other projects are underway. Promise.